When the boy from Croxteth burst onto the scene at Everton as a 16 year old record breaker, scoring that goal against Arsenal, something happened. Suddenly fans, players, managers and media all bolted up and took notice of him. He was the name on everyone’s lips. The player every club wanted. Instantly he was the hope of a nation too. With such promise there naturally follows an expectancy to fulfil it. There can be no disputing that Rooney has. Fast forward almost 11 years since his Everton debut and under Sir Alex Ferguson’s tutelage at Manchester United he has won the Champions League, 4 Premier Leagues, 2 League Cups and the FIFA Club World Cup. He was the PFA Player Of The Year for 2009/10 season and was also twice named Young Player Of The Year previously. He could conceivably still go on to become England’s greatest ever goal scorer having notched 33 times in 79 caps already. Today Rooney is in his prime as a player. He already has a career behind him that 99.9% of footballers could only dream of. As his 9thseason with United draws to a close and a 5th Premier League title looms, he should be relishing the partnership with Robin van Persie and be reinvigorated by the challenge for a first team place from Shinji Kagawa, Javier Hernandez, Danny Welbeck and co.
Showcasing the skills, both personal and professional, to advocate becoming the club captain in the near future as the experienced players face retirements. Of course this is not the case. Ever since Sir Alex Ferguson gave him the news that he would not be starting the Champions League semi-final against Real Madrid, rumours have been circulating that “the writing is on the wall for him at Old Trafford” as Roy Keane, a man who knows this situation all too well, put it. And that’s the crux of the dilemma regarding Rooney; there is always that lingering feeling that there should be more from him. As a nation, we crave a world class superstar to be born on, and nurtured by these beautiful shores. We yearn for our Lionel Messi or Cristiano Ronaldo. Manchester United fans will know all too well that when Ronaldo and Rooney first played together at Old Trafford, it was Rooney that appeared destined for greater things. Instead, it has been Ronaldo that has soared to immortal greatness in the game while Rooney has been unable to match those heights consistently. 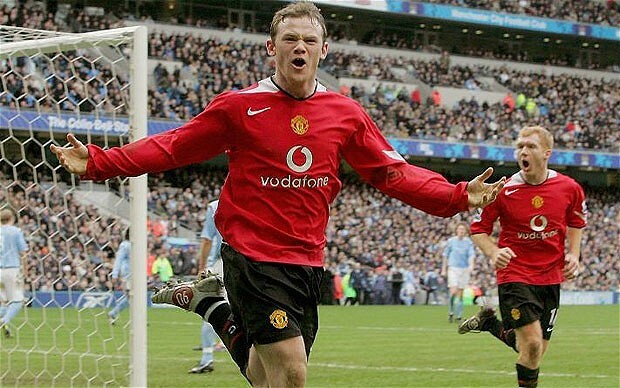 A player of Rooney’s calibre does have great moments that rival the very best of course, the goals against Man City, Newcastle and Portsmouth spring to mind, but they are sporadic in comparison to the superlatives achieved across each competition, in almost every game, season-by-season that Messi and Ronaldo do. It is yard stick that separates these two players as truly “world class”. And it is that that England craves of its own player. All 3 are Champions League winners yet Beckham’s multi club success ranks highest while Lampard’s domestic achievements are greater than Gerrard’s. Now including Wayne Rooney into this equation and by the same metrics he would already displace Lampard at second place and depending on the value 2 Champions League final losses, could legitimately contend Beckham. He should celebrated and supported but like a dark rain cloud about to ruin a BBQ, there is another force at play. 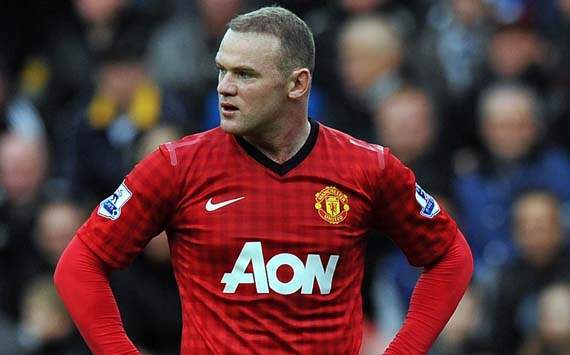 Like Ashley Cole, Wayne Rooney has become an enigma. Not as polarising or scandalous as John Terry but both have had controversial moments throughout their careers. Tabloids will regularly feature the pair on front and back covers of newspapers. And regardless of being mainstays of the national team for over 10 years, they are taunted and jeered by English fans up and down the country when playing for their club. It is this negative media, coupled with the desire for English world class players that impairs our view of Rooney today. And in the world of football, when the new version of a player is always around the corner, it’s important to remember that Rooney’s honours and statistics will now be the ones that are used to judge against England’s next star. His career will unanimously get the respect it deserves but as always with life, it will only be when it has gone. Typically though, the problem with Rooney then will be how much further could he have gone? The nature of English football is that it will always look for more. This entry was posted in Player profiles and tagged cristiano ronaldo, england, everton, manchester united, premier league, roy keane, sir alex ferguson, sven goran eriksson, wayne rooney by Scott Jenkins. Bookmark the permalink. Or, rather, that english football is always wanting.